Elizabeth Ann Trefftzs 80 of Carmi, passed away Saturday November 17, 2018 at Wabash Christian Village in Carmi. She was born February 24, 1938 in Coulterville, IL the daughter of William Glenn and Anna Margaret (Cairns) Boyd. She married Paul L. Trefftzs on August 2, 1958 in Coulterville and he preceded her in death on January 8, 2000. Ann along with her husband Paul owned and operated Kittinger-Fair Funeral Home. 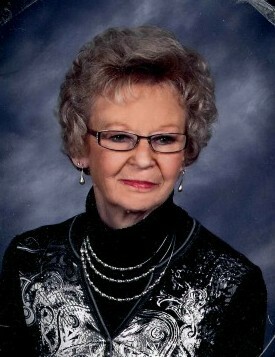 She was very community minded and was a member of the First Christian Church in Carmi. She is survived by her son, Dennis (Sherry) Trefftzs; her daughter, Louisa (Fred) Blessing; grandchildren, Rhiannon Mitchell Storm, Laura Mitchell Desch, Denny Trefftzs, Devin Trefftzs, Ashley Blessing Doerge, Bryan Bailey, Teresa Webb and Savannah Starr; 22 great-grandchildren, brothers, Robert G. and William J. Boyd.